The Delta Extended Charging Handle for the CZ Scorpion EVO 3 gets your fingers away from the picatinny rails on the barrel shroud of the Scorpion, and provides a larger and more robust control handle for charging the weapon. 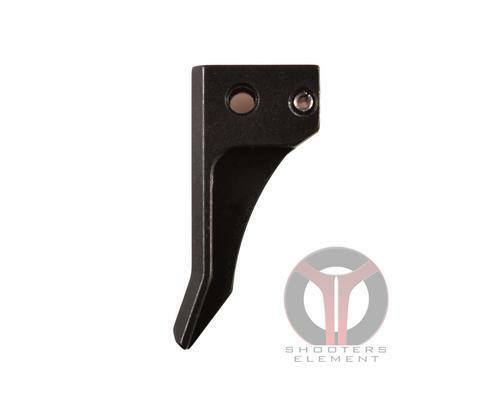 The finger catch on this charging handle is deeper and has more dramatic geometry than the factory handle; in comparison it provides a much more positive finger purchase for charging the weapon. The Delta Extended Charging Handle is ambidextrous and can be used on either the right or left side of the Scorpion. 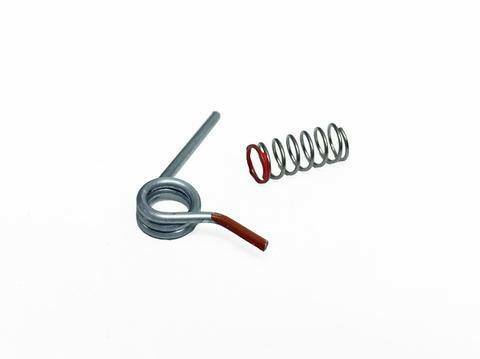 The finger catch/handle is machined from 6061T6 aluminum then hard coat anodized to MIL-A-8625, and the charging rod is machined from precision ground 17-4 stainless steel and black nitride finished. 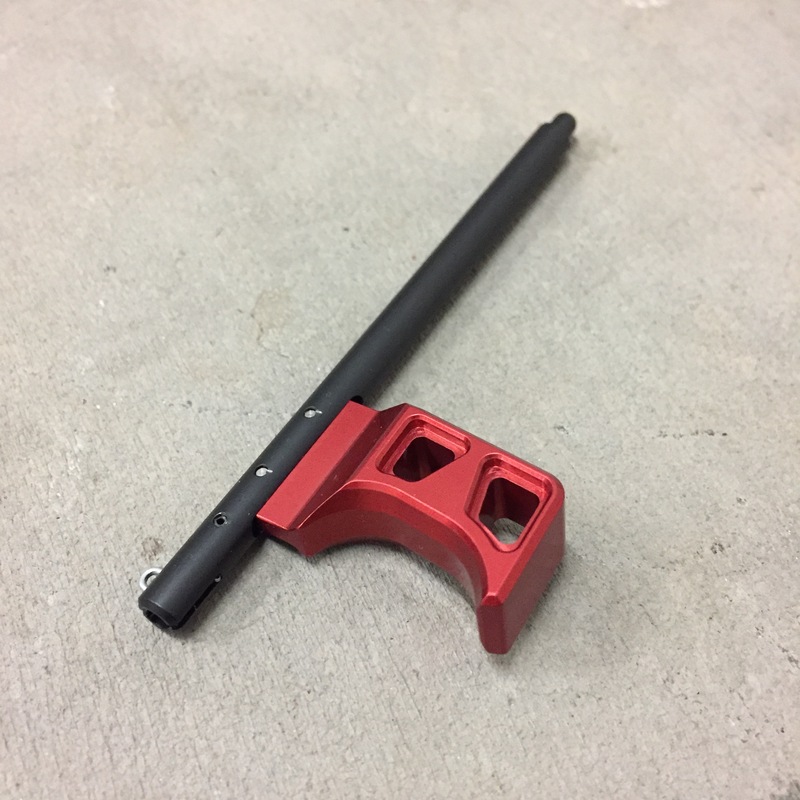 PLEASE NOTE: These charging handles are intended for use with the factory Scorpion Pistol or Carbine handguards (made from polymer). 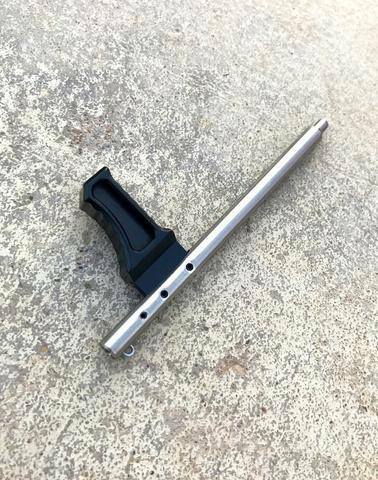 If you have an aftermarket aluminum handguard installed we recommend that you consider the Pro-Stock extended polymer charging handle. Aluminum charging handles (including our own) can cause increased friction in aftermarket handguards and in some cases may not run as smooth due to the aluminum-to-aluminum interface with aftermarket handguards. If you need any help deciding what setup might work best for your application please just call or email, we are here to help!